ATM Fees Are RidiculousEliminate The Muda! Is it wrong? Maybe, but I couldn’t help myself. I needed some cash while traveling and stopped at an ATM in the airport. There was a little trash receptacle for unwanted receipts that was crammed, obviously not emptied for awhile. I just had to take a peek and see what others were doing. I picked up 23 receipts. 7 receipts reflected insufficient funds for a withdrawal. Of the remaining 16 the average withdrawal was $48.12 though one withdrawal was for $300. If I excluded both the highest and lowest fees ($20) the average dropped $32.14. The machine I used charged $2.00 for every transaction. At that rate the average withdrawal fee equaled 6.2%! Ouch! Are we in the wrong business? *Post Office – I have conflicting data on this, I learned they won’t but I saw a lady do this not long ago. You can always try! *Merchants – Any store with a debit card machine is capable of giving cash back but not all do, ask. * In each case, it is possible the store or merchant charges a fee for this service, you must ask first. If ATMs will continue to be a part of your life there are still ways to reduce if not avoid the fees altogether. You could take out larger amounts. A $2.00 fee on a $20 withdrawal is more painful than a $2.00 fee on a $200 withdrawal. Use network ATM’s – Start with contacting your bank for a list of networks they have partnered with. This is the only sure way to find an ATM that will not apply an additional fee for its use. Also be sure to check if your bank charges “foreign” ATM fees, an additional charge for using a non-network ATM. Next take a look at the back of your ATM card. You will see some logos for the different networks of ATMs that your bank is affiliated with. Not all of these are 100% surcharge free networks. Co-op offers surcharge-free use of ATMs with member banks. Click on this logo to search for ATM location in your area. Co-op also offers a text-messaging service. Text your location address, intersection or zip code to 692667 (MYCOOP) from a mobile phone and you will recieve the closest location of a member surcharge free ATM. Co-op also offers a download of ATM locations for your Garmin, Tom-Tom or other GPS device. Click Here for the download. The STAR network includes both fee-based and surcharge free ATMs depending on your bank. But they do offer a search engine that you can use to find the surcharge free ATMs. Click on the STAR logo to see their site. Allpoint is billed as the largest network of surcharge free ATMs in the country boasting 37,000 locations. Click on the logo to find one near you. 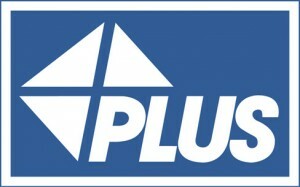 The Plus network is owned by Visa. Hard to imagine they would provide anything for free, but they are listed as a surcharge free network. Click on the link for their location search engine or link to www.visa.com/mobileatm to search for a location with your mobile phone. 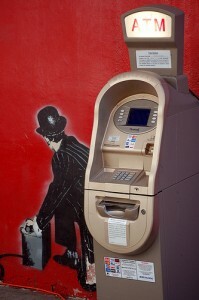 MoneyPass claims surcharge free ATM’s. Click on the logo to find convenient locations. SUM is another surcharge free ATM network. Click the logo for their search engine. Lastly, you could consider changing your bank. I found 2 that not only provide surcharge free ATMs but also will reimburse you fees that are charged by other ATMs. These banks include E-Trade and USAA. Does this post make you think twice about your ATM fees?